Swami Vivekananda used to say that education is the panacea of all social evils. But by education he did not mean merely book learning. He said, "we must have life-building, man-making, character-making assimilation of ideas" and added "What we want is that education by which character is formed, strength of mind is increased, the intellect is expanded and by which one can stand on one's feet." This is the ideal of education which we try to put into effect at Kamarpukur. The School, therefore, endeavors to educate the students in its charge according to the best traditions of the country, while instructing them in all directions – physically, mentally, intellectually and spiritually. As it prepares the students for public examination, it also tries to attend to their all-round growth and development so that they may become strong and healthy citizens of the country rooted in sound moral principles, learn to respect the higher values of life and become conscious of their obligation to the society and its people. Religion forms the background of all activities of the Ashrama and, therefore, also of the School. 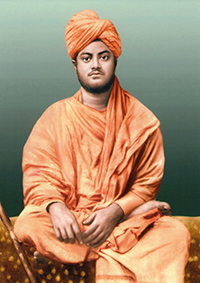 The main source of inspiration is the teaching of Sri Ramakrishna, Sri Maa and Swami Vivekananda. No sectarian religion is taught, but care is taken to make the students truly religious. All the same time, Swami Vivekananda's ideas about education are sought to be man-making. This is the ideal, that efforts are made to put into effect at Kamarpukur.